John Donne has been one of the most controversial poets in the history of English literature, his complexity and intellectualism provoking both praise and censure. In this major re-assessment of Donne's poetry, Hugh Grady argues that his work can be newly appreciated in our own era through Walter Benjamin's theory of baroque allegory. 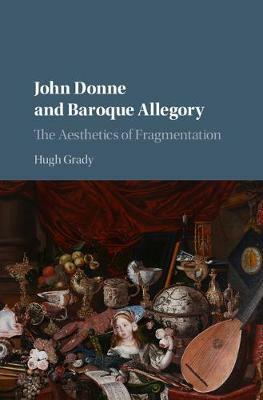 Providing close readings of The Anniversaries, The Songs and Sonnets, and selected other lyrics, this study reveals Donne as being immersed in the aesthetic of fragmentation that define both the baroque and the postmodernist aesthetics of today. Synthesizing cultural criticism and formalist analysis, Grady illuminates Donne afresh as a great poet for our own historical moment.